Over the years we have obsessively refined and improved our gemstone sourcing activities. Now we have long standing relationships with miners and cutters that produce the most desirable natural gemstones to be found anywhere in the world. This brings the highest quality and the best pricing to our clients in any of the gemstones that we can offer. Damian By Mischelle is delighted to be able to offer a truly bespoke diamond jewelry service to our clients. Bespoke cut diamonds are paired with a custom design from our jewelry team to create a truly unique piece that represents the highest traditions of fine jewelry. Each diamond takes five times longer than a conventionally cut diamond to be polished to its full potential. As part of this meticulous process Damian By Mischelle offers each of these to be cut to two decimal places. This allows a truely personalised diamond to represents lucky numbers or memorable dates. Damian By Mischelle and Peonia diamond - be one of a kind. The emerald cut has always been an elegant, timeless design for a diamond and one of our favourites. Traditionally it has 58 facets and because of the angle, size and shape of facets, the emerald cut shows less brilliance and fire (dispersion) than other brilliant cut diamonds, such as the round cut. The Elexese diamond is a beautiful re-interpretation of this classic cut. From the team that created the Peonia round cut, this new 88 facet cut exhibits dramatically more brilliance than a traditional emerald cut. From the team that created the Peonia round cut, the new 88-facet-cut Elexese diamond is available in extremely limited quantities as each will be cut upon request. Damian By Mischelle is very excited to be able to offer the Elexese to our clients. 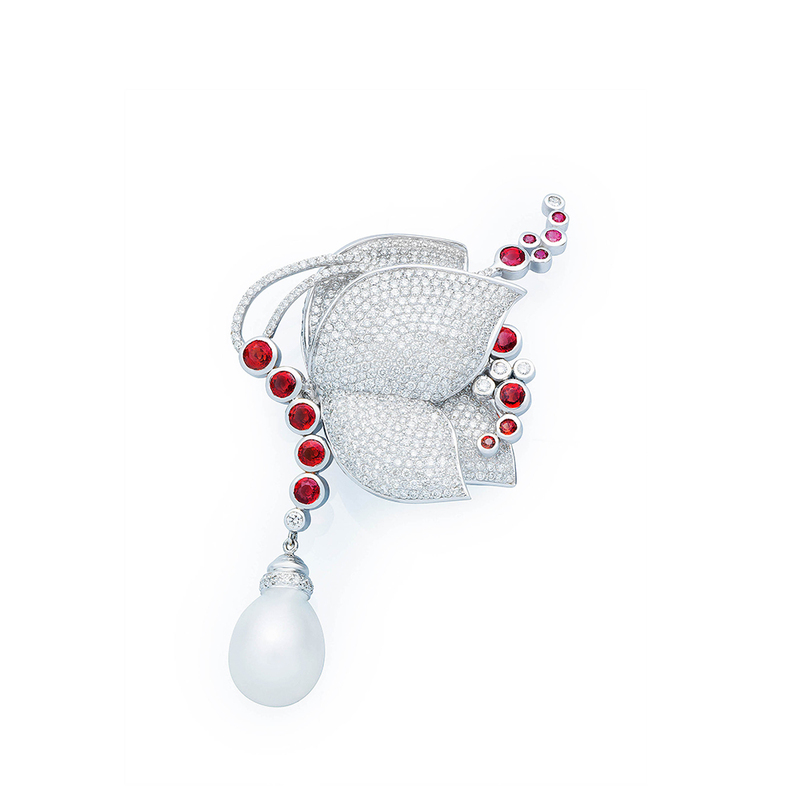 Ruby can command the highest per-carat price of any coloUred FINE GEMstoneS. This makes ruby one of the most important gems in the colored stone market. Ruby is the most valuable variety of the corundum mineral species, which also includes sapphire. In its purest form, the mineral corundum is colorless. Trace elements that become part of the mineral’s crystal structure cause variations in its color. Chromium is the trace element that causes ruby’s red, which ranges from an orangy red to a purplish red. The strength of ruby’s red depends on how much chromium is present—the more chromium, the stronger the red color. 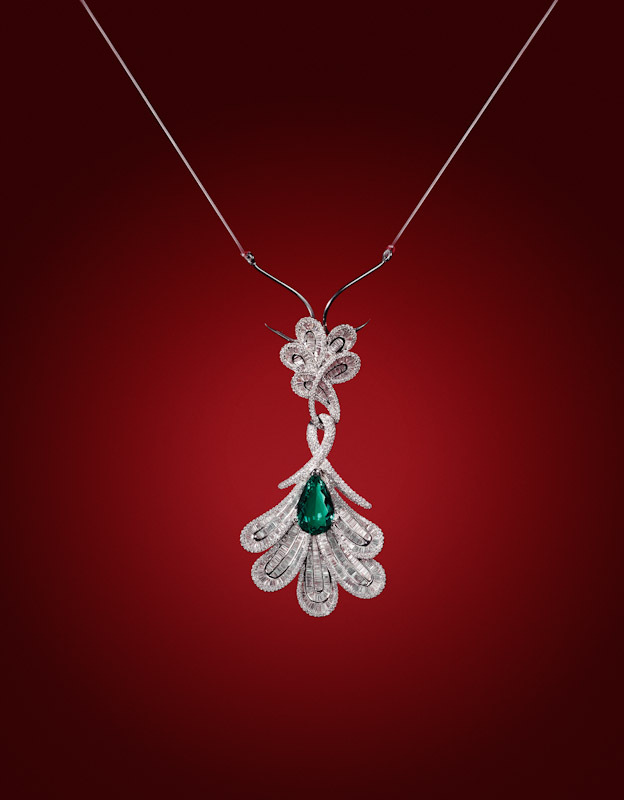 The most desirable emerald colors are bluish green to pure green, with vivid color saturation. Gem experts differ on the degree of green that makes one stone an emerald and another stone a less-expensive green beryl. Because its density is lower, a one-carat emerald will appear larger in size than a one-carat diamond. Due to the crystal shape emeralds are commonly cut as rectangular step cuts called emerald cuts. 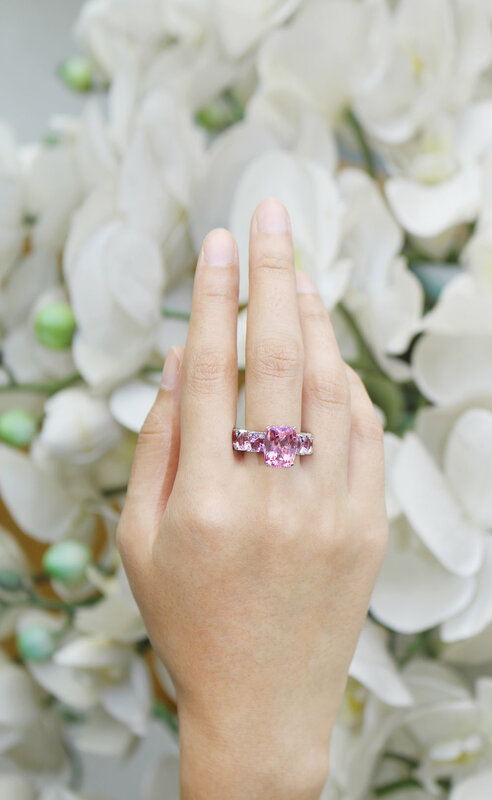 Its color reflects new spring growth, which makes it the perfect choice of a birthstone for the month of May. It’s also the gemstone for 20th and 35th wedding anniversaries. Until recently, spinel was an underappreciated gem with little consumer recognition. Increasing demand for ruby alternatives rekindled appreciation for spinel’s rich red color and history. The most valued spinel colors are bright red, cobalt blue, and vivid pink and orange. Pale lavender is more affordable.